While the chances of being involved in a flight-related accident are low, these experts say it pays to listen to and follow the safety rules on every flight. The tendency to zone out during the safety instructions is one that Jan Ibarra, a former flight attendant and supervisor, has observed among countless passengers. I've always been an anxious flyer, yet when on a plane, I tend to pay little if any attention to the pre-takeoff emergency demonstration, and I've never once read the safety information card in the seat back pocket in front of me. I suppose my negligence is the result of my just assuming that if something does go horribly wrong, I'll know what to do from all the times I did pay attention to the safety demos in the past. I also tend to get trapped in a fatalistic sort of pessimism, reasoning that if something does go wrong, it will be a catastrophe so beyond my control that there will be little I can do. After discussions with aviation experts, (based on but not exclusive to Tuesday's deadly incident on Southwest Airlines flight 1380), I realized that by being negligent, I’ve been shrugging off my safety duties as a passenger. What’s more, I’ve somehow been totally misinformed about the chances of surviving one of those unthinkable catastrophes. A 2001 NTSB study showed that based on plane accidents between 1983 and 2000, 51,207 of the 53,487 passengers involved, survived. That's 95.7 percent. The odds are tremendously in our favor — but we can’t get lazy when it comes to the rules. The tendency to zone out during the safety instructions is one that Jan Ibarra, a former flight attendant and supervisor for Pan Am and Delta for 28 years (retiring in 2006), has observed among countless passengers. "People may be thinking 'How many times do I have to watch the same safety demonstration or video? We all know how to buckle our seatbelt, and we understand that when the mask drops down we're supposed to put it on before we assist others.’ I think for the most part people are just bored by these demos." Recognizing passenger’s lackluster response, some airlines have tried to make these safety spiels fun or even comedic, a move that neither Ibarra nor Sara Nelson, the international president of the Association of Flight Attendants-CWA, AFL-CIO feels is the right direction. As with those pre-flight safety demos, the FAA requires airlines to include an information safety card in all seat back pockets. It’s critical to read this as it contains guidelines and details specific to the aircraft you’re on. Flight attendants, with their spiffy uniforms and accommodating nature, may seem like the wait staff of the sky, but these professionals are trained to perform a range of medical tasks — from basic CPR to delivering a baby. They also know the ins and outs of the plane and receive annual training on safety. Not only are flight attendants trained to save you, they may be trained to, well, kill you. “After 9/11, I took voluntary self-defense courses at Delta,” says Ibarra. “I learned so much from it, including two ways to kill people.” And yes, that’s with her bare hands. The point is flight attendants can be your in-flight superheroes. Remember that when you’re annoyed that the beverage cart is coming down the aisle too slowly. Often we only fasten our seatbelts when the light alerting us to do so is on, but we should keep our seatbelts fastened the whole time we’re seated. “I hate to think of it but had the woman who lost her life on [Tuesday’s Southwestern flight 1380] not had her seatbelt on, she would have been out that window in two seconds,” says Ibarra, while Nelson adds that other lives were likely saved by buckling up. “In instances of a rapid decompression like [that on the Southwestern flight], people are saved because they have their seatbelt on,” says Nelson. Experts stress the importance of not freaking out if something goes wrong in the air, and also to remain completely alert. This means you shouldn’t drink too much on a flight. Ibarra notes that flight attendants are trained to cut you off when you’re had too much, but you shouldn’t ever get to that point. Stay sober so that if in an emergency you can coherently follow all commands. The passengers who stepped in to help each other on Tuesday’s flight acted so bravely and that can’t be underestimated. But in most emergency situations, it’s not recommended to do anything other than stay seated unless the flight crew asks you otherwise. Frankly, trying to be of service can interfere with the people trained to help and distract other passengers from important messages. I tend to dress purely for comfort on a plane, and usually by the time we’ve taken off, I’ve ditched my shoes for a pair of fat fuzzy socks. While flight attendants want us to sit back and relax, we may want to keep our shoes laced. Marty Martinez, a passenger on flight 1380 famously documented his experience on the rapidly descending plane on Facebook live. This made for powerful viewing and surely the instinct to connect with loved ones during what you think could be your last moments, is an understandable one. But this is highly inadvisable. While neither Nelson nor Ibarra wish to “shame” Martinez, they adamantly advise against such behavior. American Airlines is the largest carrier in the world, moving into the top spot following its merger with US Airways that closed in 2015. Headquartered in Fort Worth, Texas, American and its regional affiliates fly more than 1,500 aircraft through nine hub cities. 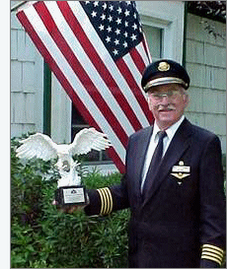 American traces its history back to 1920s, when a mail carrier operation that would become today’s American flew its first flight. This century, American has grown through several mergers. 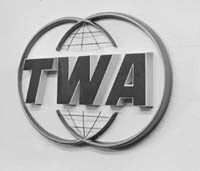 In 2001, American acquired TWA (Trans World Airlines). In 2015, US Airways led an effort to merge with American, creating today’s version of the company that kept the American Airlines name. US Airways itself was the product of numerous mergers over the years, including a 2005 merger with America West. A former JetBlue flight attendant accused of trying to sneak a suitcase full of cocaine through Los Angeles International Airport and making a dramatic dash to escape is set to plead guilty in the case in federal court on Monday. The airline with the kangaroo on its tail is losing a bounce. Boeing (BA)'s 787-9 Dreamliner will make the epic 17-hour journey between London and Perth, a city on Australia's remote west coast, Qantas (QABSY) said. The airline plans to launch the service in March 2018, joining the ranks of the world's longest passenger flights. "This is a game-changing route flown by a game-changing aircraft," Qantas CEO Alan Joyce said in a statement. "Australians have never had a direct link to Europe before, so the opportunities this opens up are huge." Flying between Australia and the U.K. has long been a holy grail for Qantas, which has had to hop through Singapore and Dubai more recently to get to Europe on its "Kangaroo Route." Joyce contrasted the new flight with Qantas' original Australia-to-London service that it introduced nearly 70 years ago. That one was a whole lot slower, taking four days and involving nine stops along the way. Qantas said the Perth-London service -- at 9,009 miles (14,498 kilometers) -- is expected to be one of the longest passenger flights in the world when it goes live. That's true of the current record holder for distance. Air India's service between New Delhi and San Francisco that flies over the Pacific rather than the more typical route over the North Pole. At 9,408 miles (15,140 kilometers), the Pacific path is a lot longer, but it actually saves fuel and time by taking advantage of the tailwinds provided by the high-altitude jet stream. Qantas' Perth-London route will be the world's longest using the Dreamliner, which entered service in 2011. A host of new ultra-long distance routes have been opened up with a new generation of fuel-efficient Boeing and Airbus (EADSF) aircraft. Singapore Airlines (SINGF) restarted direct service to the U.S. recently with the Airbus A350, a route also now flown by United Airlines and its 787. The Australian airline has pulled off longer flights in the past. 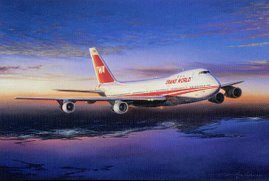 In 1989, it flew a Boeing 747-400 all the way from London to Sydney, setting a record for the world's longest commercial flight at 11,185 miles (18,001 kilometers). But that wasn't a scheduled flight. 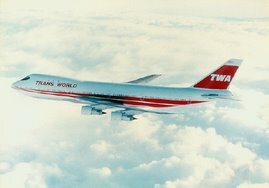 The 20-hour journey was a one-off event, and the jumbo jetliner only carried 23 people, including crew. It has been a torrid time for the airline industry this summer. A JetBlue flight from Boston to Sacramento on Thursday night hit severe turbulence, injuring 24 passengers. Earlier this week, Delta Air Lines came to a complete halt for a big chunk of time after a computer failure at its Atlanta headquarters. It took the airline the best part of the week to reach normal service. Thousands of flights were canceled and passengers were massively disrupted. That came after an Emirates Airlines flight crashed upon landing in Dubai earlier this month. One UAE firefighter was killed, but, miraculously no one on board the plane was seriously hurt. And just last month, Southwest Airlines' computer problems forced the cancellation of thousands of flights, leaving hundreds of thousands of passengers stranded. So -- dear traveler, what did we learn from the misfortunes of midsummer? 1. JetBlue's (JBLU) turbulent ride: Those who got injured on hit the aircraft ceiling when the plane dropped suddenly. Stop thinking the instruction to keep your seat belt fastened is a cunning plan to turn your seat into your prison locking you there for the journey! It's plain common sense. Obviously some people will be going to the lavatory, getting out bags or moving about the plane and they are going to be vulnerable. But reduce the risk: keep the belt fastened and protect yourself. 2. Emirates fire: The plane is on fire. Leave your bags behind and GET OUT. What is so difficult about this to understand? Yet the video from the burning plane showed passengers attempting to get bags out of the overhead compartment (it was a similar situation when a British Airways flight burst into flames in Las Vegas, passengers walked off the burning jet with their hand baggage) I am not sure how much clearer the airlines can make it: Your bags are not worth your life. A) if you haven't started travel: Don't. Take advantage of the airline's offer to let you cancel without penalty. Go home and rest easy. B) If you must travel: Go and book yourself on another carrier ASAP. You can argue about getting your money back later. Believe me -- you are in a brutal battle with others trying to do the same thing. Don't waste a minute. Book any seat you can get. C) If you have already begun your trip, become zen-like and be prepared for hours of misery. There is nothing you can do. Nothing. Planes are already nearly full so finding extra seats for displaced passengers will be tough. The lessons from United (UAL), Southwest (LUV) and Delta (DAL) is that mega-computer screw-ups are going to happen. There is nothing you can do about it. The golden rule: airlines are amongst the most complex companies in the world. 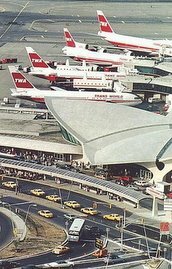 Be it weather, baggage, delays, strikes, incidents, computer problems, when they go wrong they do so spectacularly. Just be prepared to help yourself and you won't be disappointed. 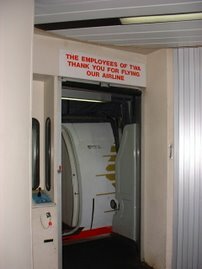 Glading was an active member of the Association of Professional Flight Attendants, the independent union that has represented the flight attendants at American Airlines, since the 1970s. She rose through the union hierarchy to be elected president in 2008. Glading pushed for and was appointed as one of nine members of the Unsecured Creditors’ Committee overseeing American Airlines’ bankruptcy. Glading was an outspoken advocate in support of the American Airlines–US Airways merger and did everything in her power to make the plan a reality. 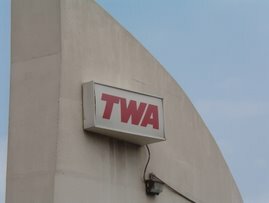 She appeared alongside the Allied Pilots Association to urge approval of the planned merger over U.S. Justice Department opposition. In September 2013, Glading met with met with top antitrust officials at the U.S. Justice Department following a rally in Washington. After she helped broker the $16 billion merger deal bringing the two companies together, Glading found a way to represent the combined flight attendant group. Glading has spoken publicly on a number of issues relating to flight attendant safety and security, including a submission to the United States House Homeland Security Subcommittee on Transportation Security in April 2013 where she opposed a Transportation Security Administration (TSA) initiative to permit small knives on planes. The TSA subsequently reversed its decision to allow knives on planes in June 2013. On October 3, 2015, Glading sent a letter to the membership of APFA stating that she would resign as APFA National President on December 2, 2015. On October 5, 2015, she met with the Board Of Directors and then announced that she would step down on October 9, 2015. Months after Laura Glading resigned from APFA she began forming her own company called Laura Glading & Associates which was filed with NYS Department of State Division of Corporations on December 30, 2015. It was stated by the interm APFA President Marcus Gluth in a letter to members January 7, 2016 that Laura Glading has been offered a position with American Airlines. APFA members are outraged. 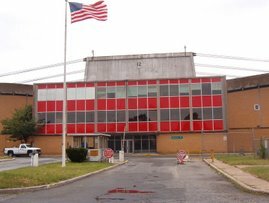 President Marcus Gluth stated in a hotline to members, "I am launching an internal investigation into Laura's dealings as National President. An independent investigator will be selected to review files, conduct interviews, make determinations, and issue recommendations. This investigator will have no previous relationship with American Airlines, APFA, or any of APFA’s outside professionals. The goal of this investigation is to determine whether any quid pro quo was offered by the company and when. " My name is Steve and I am a flight attendant for a major airline, having flown for 42 years with two major airlines, one which was purchased by another carrier, where I still fly today and still enjoy my job! I have flown both International and Domestic routes and have flown to every major city in Europe (some minor ones, too) and Hawaii and over 150 cities in the USA and Canada. Suggestions, compliments and complaints are welcome! 2. Please keep your dirty, smelly, stinky feet off the bulkheads. Talk about NO CLASS, especially, in FIRST CLASS and please brush you teeth or use chewing gum...BAD BREATH! 4. Screaming into your cell phone. The entire plane can hear you! Cell microphones can pick up whispers. Be considerate to others around you. 8. Coming through security with metal in their pockets, around their necks, fingers, ankles, ears, noses or wherever. READ THE SIGNS ABOVE THE SECURITY CHECKPOINT. Everyone has flown! 10. Cutting toenails, flossing teeth while in their seats, rubbing bare feet all over the bulkhead or seat in front of them, picking noses, and leaving the seat around them trashed after the flight. Do they live like this at home? BONUS: Not paying attention when they are being served by a flight attendant and staring into a void or listening to music rather than taking their beverage from said flight attendant. YOU WONDER WHY IT TAKES SO LONG FOR THE BEVERAGE CART TO GET TO YOUR SEAT. Asking your flight attendant what do you have? This is NOT a 7/11 but a 737! Listen to live ATC transmissions! A non-stop flight, especially in the aviation industry, refers to any flight by an aircraft which does not involve any intermediate stops. These flights operate a great circle route, often above polar regions. The two longest ultra long-haul flights as of July 2010 are operated between Singapore and North America. To leave a comment, just click on "comments" on the bottom right of each post, to the left of the little envelope! You MUST push the "publish your comment" button (scroll down to the very bottom of where you wrote your comment for the "publish your comment" button) to post your comment after you enter the security letters in the box. To see your comment posted, click the "refresh button" on your computer. Click on any videos below in this column to view them and enjoy a piece of the past! Frontier Airlines "Still the One"
Thank you for visiting The Crew Report Blog! Please encourage others to log in and comment. Do not let terrorism win! 9/11 effects on airline employees. 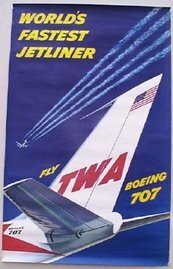 Trans World Airlines 1970"s logo! 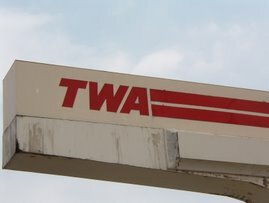 UP, UP AND AWAY, TWA! You Know Where THIS Was! 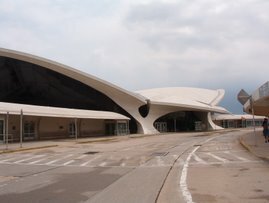 Now torn down for new terminal. 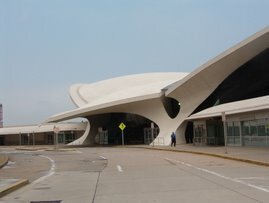 Terminal 5 JFK, Listed on the National Historic Registry! 2005-2014 Crew Report Blog All Rights Reserved To All Authors . 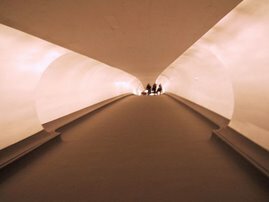 Theme images by Sookhee Lee. Powered by Blogger.